There is a grown interest to smart cities of the future with natural interaction between the body of the city and the different product using this body. 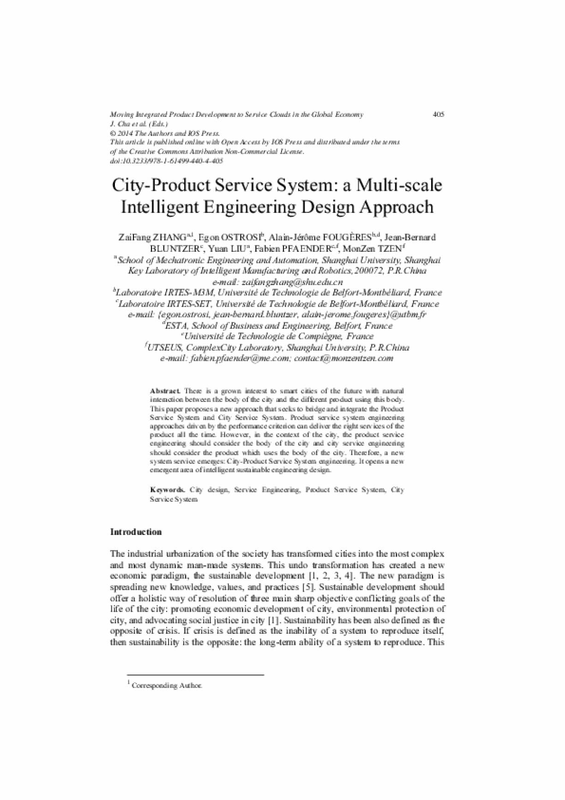 This paper proposes a new approach that seeks to bridge and integrate the Product Service System and City Service System. Product service system engineering approaches driven by the performance criterion can deliver the right services of the product all the time. However, in the context of the city, the product service engineering should consider the body of the city and city service engineering should consider the product which uses the body of the city. Therefore, a new system service emerges: City-Product Service System engineering. It opens a new emergent area of intelligent sustainable engineering design.